Does it ever happen to you ? You go out to eat. Your dish creates in you a desire to recreate it at home. 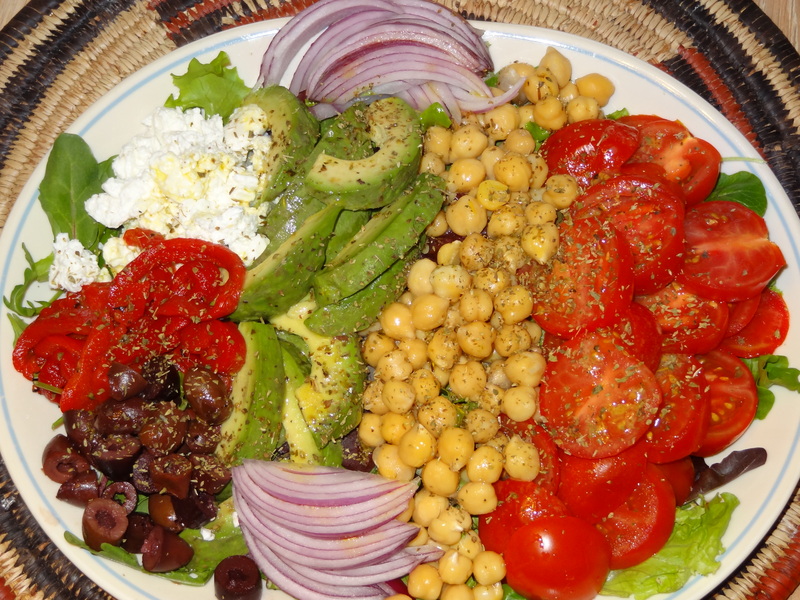 Avocado, tomatoes, garbanzo beans, kalamata olives, red onion, hard-boiled egg and feta cheese on a bed of fresh mixed greens and spinach. Add salt, pepper, oregano, olive oil and vinegar.